Al Madinah, Saudi Arabia– Maarij Group is delighted to announce its exclusive distribution agreement with with Alfajr Watches and Clocks in South Africa. Alfajr was founded in 1999 and has since gained worldwide recognition for its high quality watch and clock products. 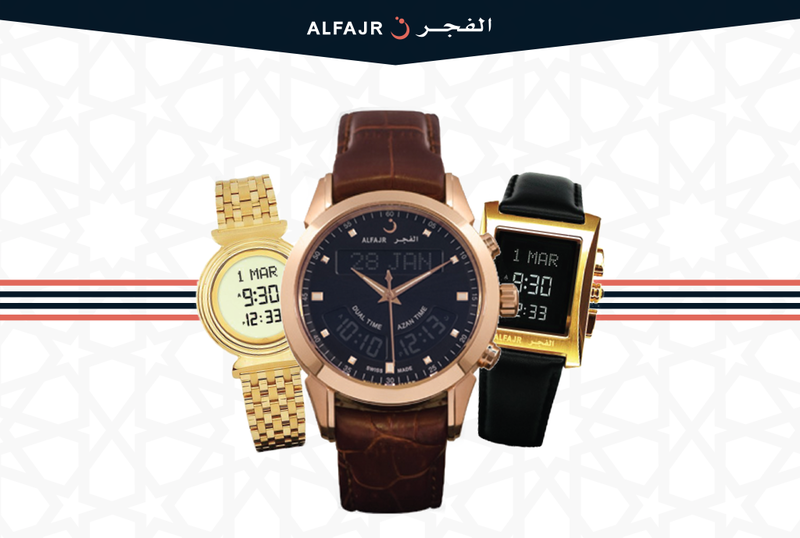 Alfajr is now a global brand name that specialises in Islamic timepieces. The Alfajr name was derived from its original clock design which introduced a unique and innovative fajr alarm that changes daily “relative to” the fajr adhan. Alfajr have different models including wall clocks, table clocks, and various models of wrist watches for men, women and children. Alfajr watches are made from the highest quality materials supported by decades of excellent customer service. Alfajr Watches and Clocks is a significant addition to Maarij Group’s distribution network. This deal demonstrates Maarij Group’s commitment to the South African Market by offering impactful Islamic products. Alfajr adds to the many active trade partnerships that Maarij Group has in place in South Africa. Maarij Group is a holding company that has been established to manage and achieve global penetration in emerging and developing markets. For 15 years the founders and executives at Maarij Group have been building relationships and after establishing successful ventures across the globe, Maarij Group has influence, trust and respect with professional networks, investors and business ecosystems. Maarij Group aims to establish a portfolio of activity and ventures that bridge the business gap between the Eastern and Western markets. With influence and understanding of both developed and developing markets, we have a quest to connect and empower the world through ethical enterprise. To find out more visit www.maarijgroup.com.